When a child struggles to live up to his or her potential in school, parents, educators, and often the students themselves want to get at the root of the matter. While to some, a child may look "lazy" on the surface, his or her reluctance to do work or to engage at school may be the result of a deeper learning disability or a psychological issue that could be interfering with the child's ability to learn. While parents and teachers suspect a student may have a learning issue, only a psychoeducational evaluation conducted by a professional, such as a psychologist or neuropsychologist, can result in a clear diagnosis of a learning disability. This formal evaluation also has the benefit of providing a thorough explanation of all the factors of the child's learning challenges, including cognitive and psychological issues, that could be affecting a child in school. Looking for more information about what a psychoeducational evaluation involves and how the process can help struggling students? Check this out. An evaluation is usually conducted by a psychologist or other similar professional. Some schools have licensed staff who conduct evaluations (public schools and private schools both often have psychologists who work for the school and who conduct evaluations of students, especially in the elementary and middle school levels), while some schools ask students to be evaluated outside of school. Evaluators try to create a safe, comfortable environment and establish a rapport with a student so that they can make the child feel at ease and get a good read on the student. The evaluator will usually start with an intelligence test such as the Wechsler Intelligence Scale for Children (WISC). First developed in the late 1940s, this test is now in its fifth version (from 2014) and is known as the WISC-V. This version of the WISC evaluation is available as both a paper-and-pencil format and as a digital format on what is called Q-interactive®. Studies show that the WISC–V delivers more flexibility in assessment as well as more content. This new version gives a more comprehensive snapshot of a child's abilities than its previous versions. Some of the more notable improvements make it easier and faster to identify the issues a student faces and better helps identify learning solutions for the student. Though the validity of intelligence tests has been hotly debated, they are still used to generate four main sub-scores: a verbal comprehension score, a perceptual reasoning score, a working memory score, and a processing speed score. A discrepancy between or among these scores is notable and may be indicative of a child's strengths and weaknesses. For example, a child may score higher in one domain, such as verbal comprehension, and lower in another, indicating why he or she tends to struggle in certain areas. The evaluation, which may last several hours (with some tests administered over several days) may also include achievement tests such as the Woodcock Johnson. Such tests measure to what degree students have mastered academic skills in areas such as reading, math, writing, and other areas. A discrepancy between intelligence tests and achievement tests may also indicate a specific type of learning issue. Evaluations may also include tests of other cognitive functions, such as memory, language, executive functions (which refer to the ability to plan, organize, and carry out one's tasks), attention, and other functions. In addition, the testing may include some basic psychological assessments. What Does a Finished Psychoeducational Evaluation Look Like? 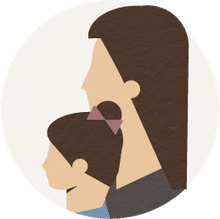 When an evaluation has been completed, the psychologist will provide the parents (and, with the parents' or guardians' permission, the school) with a completed evaluation. The evaluation contains a written explanation of the tests administered and the results, and the evaluator also provides a description of how the child approached the tests. In addition, the evaluation includes the data that resulted from each test and notes any diagnoses of learning issues that the child meets. The report should conclude with recommendations to help the student. These recommendations could include accommodations of the usual school curriculum to help the student, such as providing the student with additional time on tests (for example, if the student has language-based or other disorders that cause her to work more slowly to achieve maximum results). A thorough evaluation also provides insight into any psychological or other factors that are affecting the child in school. The evaluation should never be punitive or stigmatizing in its intent; instead, the evaluation is intended to help students reach their full potential by explaining what is affecting them and suggesting strategies to help the student.